The login page for all Platform for Advanced Genome Science grant recipients is now up. The login page for all Platform for Advanced Genome Science grant recipients is now up. 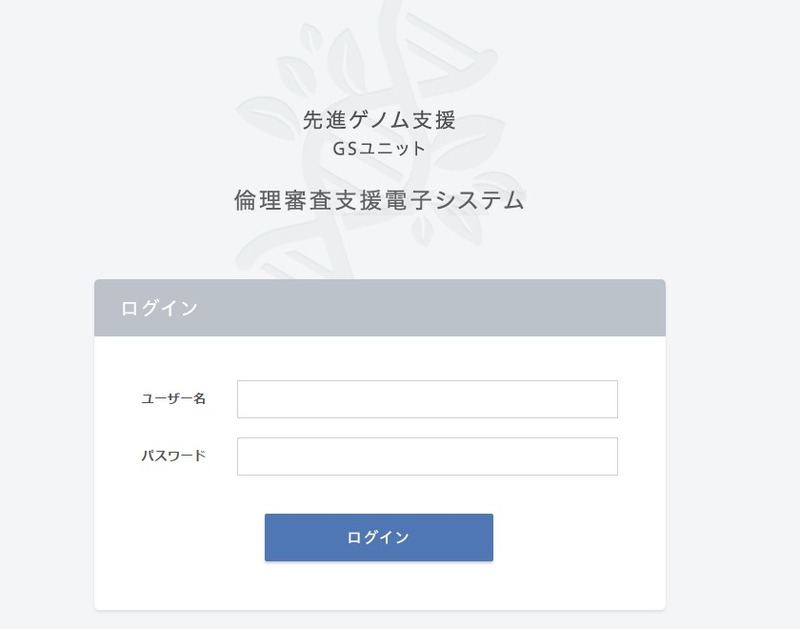 We have sent out emails concerning the login page to all the representatives of grant-funded research projects that deal with human-derived samples and information. Please click on the Ethics Review Assistance login link at the top right of the page.